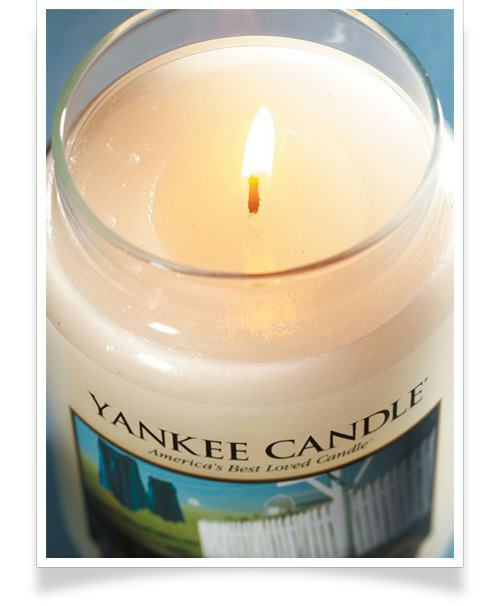 When enjoying the wonderful fragrances of Yankee Candle, it is important to bear in mind the safety and best practise tips as highlighted below. We could write pages and pages of advice, but we've distilled it down to the most important points. Ensure all packaging is removed before lighting. All candles should be placed on a protected, heat-resistant surface away from anything flammable and out of the reach of children and pets. Keep the wax pool clear of any wick trimmings, matches or other debris. Store candles in a cool, dry place to avoid colour fading, melting or cracking. Keep away from direct sunlight or fluorescent light, and any exposure to moisture may inhibit relighting. To ensure an even melt across the candle's surface, burn for at least 3 hours at a time. This prevents "tunnelling" - when the candle burns a hole down the middle and wax remains at the edges. If you tend to light candles for considerably shorter periods than 3 hours, 2 wick candles are a good solution, as they burn from edge to edge in half the time, meaning less potential wasteage at the edges. Ensure the flame does not touch the glass as the jar may become hot and crack. Extinguish the flame carefully (candle snuffers are the safest way) before replacing the lid. Place a wax melt (or a combination of melts) on the top of a dry wax burner. Place an unscented tea light in the middle of the burner for a low and controlled flame, designed to melt the wax at the ideal rate. To remove the melt from the burner, wait until it has completely hardened. Pop it in the freezer for a few minutes if necessary and the wax will cool completely and pop out into your hand. Never use a knife or sharp object to scrape the melt up, as it could scratch the burner.